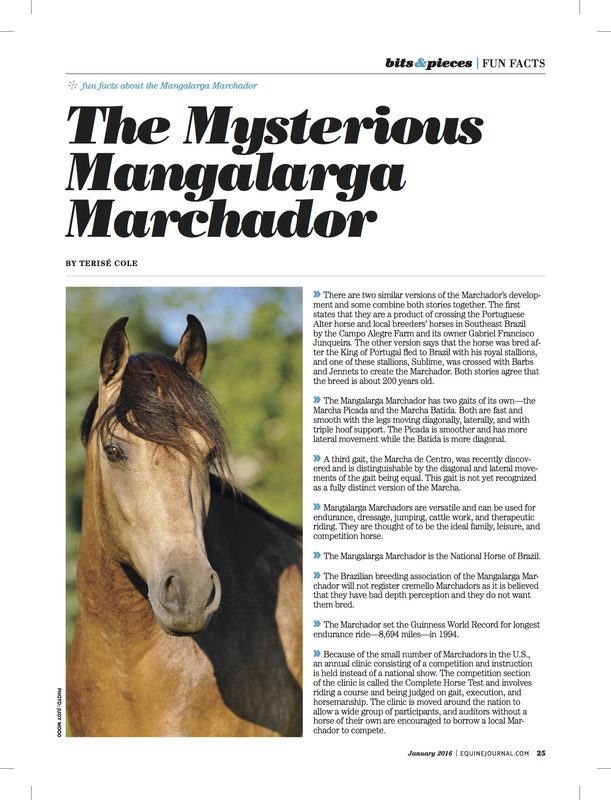 Equine Journal Article January 2016. Photo is Beethoven do Summerwind, MM gelding, photo credit Judy Wood. Beethoven is owned by Laurie Klassen, SK, Canada. January 12, 2016 in Discussion, In Print.